Superdry men's Urban camo long sleeve t-shirt from the Orange Label range. Strike the balance between casual and cool with this cotton long sleeve tee. 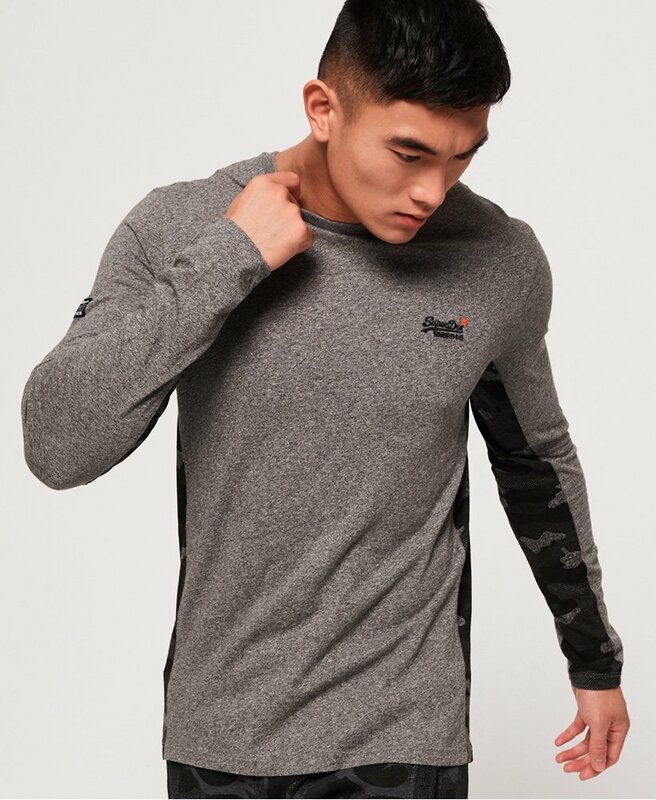 Featuring a crew neckline, an embroidered version of our iconic Superdry logo on the chest and camo inspired panelling on the sleeve and sides. The long sleeve t-shirt is completed with a logo patch on the arm. Finish the look with jeans and Chelsea boots.